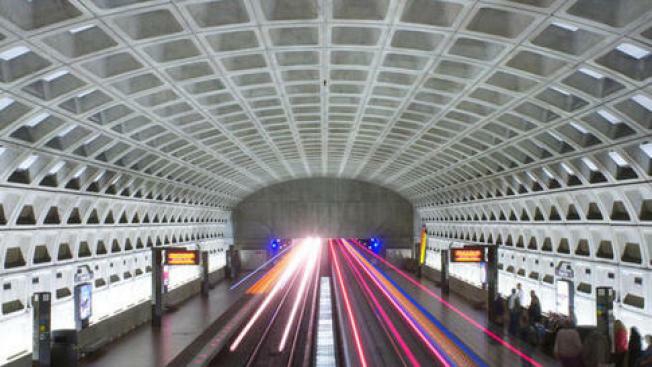 If you're taking the Metro this weekend, get ready for some delays on the Red Line. WMATA has track work planned for the Red Line, so the Rhode Island Avenue and Brookland stations will be closed. All other lines (don't forget about that new Silver one) will run on regular weekend schedules. You can ride free shuttle buses bewteen NoMa-Gallaudet and Fort Trotten -- the buses will make intermediate stops at Rhode Island Avenue and Brookland. Metro aslo says the last Red Line train of the night will leave about 35 minutes earlier than normal to allow for shuttle bus connections. On Friday and Saturday nights, the last train will depart Glenmont at 2:02 a.m., and on Sunday, the last train will leave at 11:02 p.m.
Work begins Saturday morning and will continue through closing time on Sunday. For more information, visit Metro on the web or call (202) 637-7000.